The luxury-car maker’s third-quarter sales almost doubled from a year earlier, but its hoped-for 30 pct EBITDA margin remains distant. The risk of a chaotic Brexit that would hurt production and sales is an added concern. The shares, down a fifth since listing, will languish. 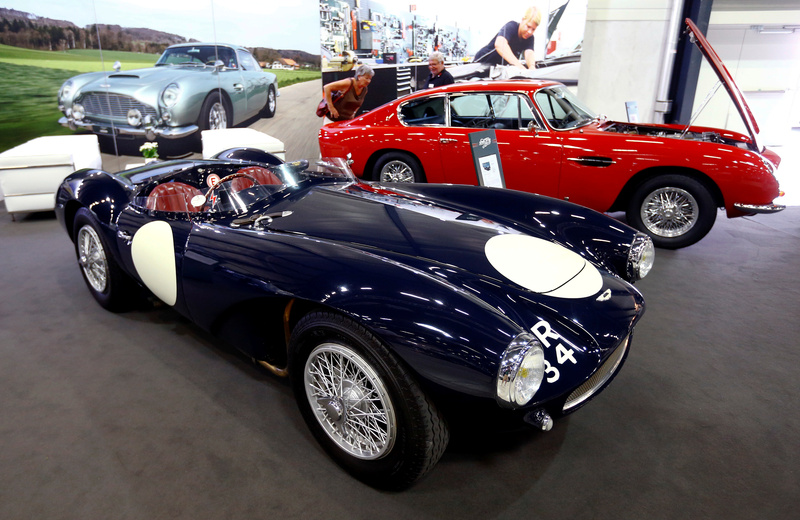 Aston Martin DB3S is displayed at the Swiss Classic Car vintage automobile fair in Luzern, Switzerland May 28, 2017. Picture taken on May 28, 2017. Aston Martin said on Nov. 15 its revenue had increased by 81 percent to 282 million pounds in the third quarter from the same period a year earlier, driven by strong demand for DB11 and Vantage models. Adjusted EBITDA was 54 million pounds for the quarter, up 93 percent year-on-year. Aston Martin shares were down 6.5 percent at 15.06 pounds by 0930 GMT on Nov. 15. The company sold shares at 19 pounds in an initial public offering in October.